This is a session designed for young people who have a bit more experience, and a follow on from our other music sessions. A mixed Music session for people who want to make music. whether your into Hip hop Grime or rock and want ti make music on your own or with other people, get in contact with Joe at Soft Touch and join our Friday nights sessions. This is a session designed for young people who have a bit more experience, and a follow on from our other MiXT UP music sessions. If you attend or have attended on a tuesday night, or any Soft Touch Arts session and feel like you are competent at making music and ready to make more music. 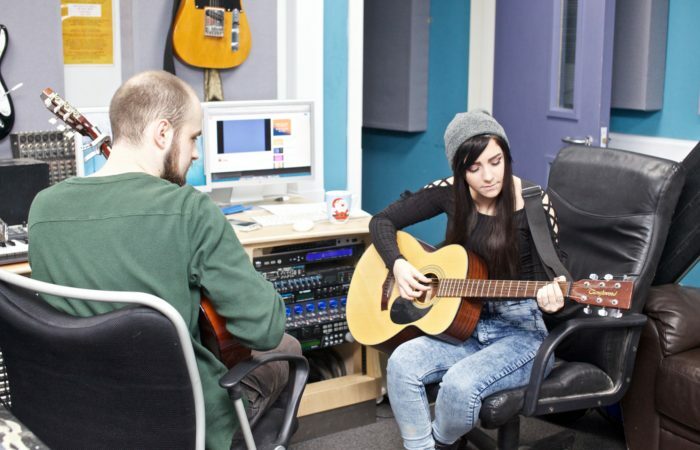 if you are able to support yourself in your music making activity, you can access our Friday night music slot. Progress further in the studio creating and writing your own music. Want to get involved in a project like this? Download and fill out our referral form and a member of our team will get in touch with you!